Alejandro Martínez Cuenca, CEO & Chairman of Joya de Nicaragua, talks about the 3rd International Tobacco Festival of Nicaragua “Puro Sabor”, which opens its doors today (01/15/13) to more than 150 cigar aficionados from all over the world. ¿In what circumstances is the Tobacco Festival being promoted? In the tobacco industry worldwide, the first months of the year tobacco, festivals have been a tradition. It is an invitation to consumers, to retailers, in the US and the rest of the world, for all the companies who belong to the sector to showcase their products. Nicaragua has hosted this festival twice. Lets keep in mind that in Nicaragua, although tobacco history begins in ancentral years, the reality is that the industry began to organize itself in recent years. We are already 12 organized companies around the Nicaraguan Tobacco Asossiation (ANT), and we don’t want to pass the chance the country has positioned itself into in the world of tobacco, as one of the principal origins of best quality tobacco. Cuba has its own festival, Dominican Republic has its own festival, Honduras has also hosted a couple of festivals and Nicaragua its organizing its third. It’s being done in the context in which one of the principal economical engines in global economics is starting to give out signs of recovery, the US, after the crisis it had along the last four years. The objective is to follow the trend in which countries who manage to agglutinate their industry have a once a year opportunity, all equally, to present what they have, what it is they do, how they do it, and that is what the festival is about. There are visits to factories and fields, so that people soak themselves in the process of manufacturing a cigar. There is a great lack of understanding of what a cigar is… A cigar is a work of art, crafted by Nicaraguan men and women in a artisan industry. Not in the terms it is conceived in popular language, but artisan because it implies the labor of people who create works of art. 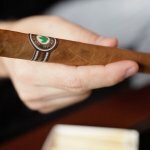 What makes the difference between a cigar from Nicaragua and other cigars in the world? Let me answer you with a comparison. What makes a wine from Portugal, France, Chile, South Africa or Australia special? At the end, they are all wines, but each one has their own characteristics. The same happens with tobacco. A tobacco grown in a certain area, Estelí for example, has a very different taste than one from Mexico, Ecuador, Brazil or Costa Rica. It’s very different. Nicaragua has rich soil and sun hours which facilitate the plants to do their wonders. That gives it different strength and taste from Dominican, Mexican, Peruvian or Cuban tobacco. So, with different origins, come different tastes. In the case of tobacco, there are sweet flavors, bitter flavors, strong flavor you can palpate in your palate. Cigars are made to be tasted. To be enjoyed. Not just to put tobacco in your mouth just because. What nature has given to Nicaragua must be enjoyed. And that is what the festival pretends to promote. What has been achieved with the past editions of the festival? In the first place we have demonstrated that we are able, although competing in a globalized world, to get along. The principal goal of a festival is to showcase the harmony that can exist in an industry, in this case, tobacco. It consists in getting al of the producres together, because we all think we are doing the best in the world. Sometimes we are listed on the rankings and sometimes we are not, there are many types of feelings from one to the other, and the festival is a test to the industry itself. In the festival we all expose our work to the public. Will the festival be open to Nicaraguans or just foreigners? In this case it is open to the local audience, too. Not only foreigners, because we want Nicaragua to appropriate itself of this industry, to appreciate it, to be able to make conscience that there have been a number of companies making great effort to position Nicaragua worldwide. What does the cigar industry represent to the economy of Nicaragua? It is an industry that has grown a lot. We surpassed, years ago, the manufacturing and sales of 100 million cigars. We also surpassed the amount of U$100 million some years ago. It is an industry that employs more than 30,000 heads of family, in a direct and indirect way. There are people who work at the factory or fields, and others that work in companies that collaborate with this industry. On average some 180,000 people from the North of Nicaragua live, breath and survive thanks to the tobacco activity. Who is Alejandro Martínez Cuenca? 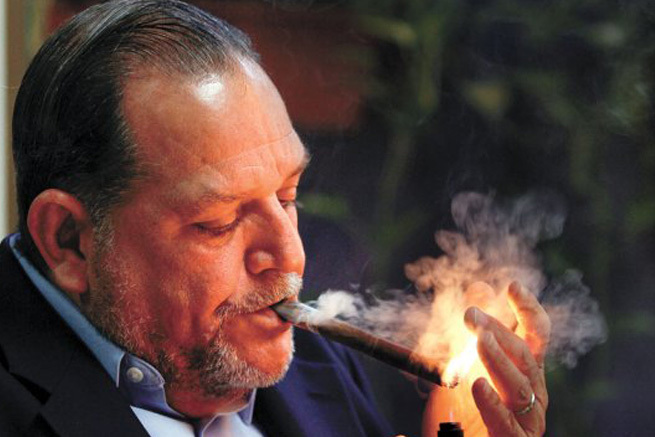 The economist, Dr. Alejandro Martínez Cuenca is the Chairman & CEO of Joya de Nicaragua, a company which has 46 years of experience in the making of premium cigars in the country. It is the only “authentically Nicaraguan” manufacturer in the tobacco sector. “For me, since early on in life, tobacco was always a big passion. When the opportunity presented itself to enter this industry, after various efforts, I accepted the challenge. I see myself now obliged to walk through long cities to sale and promote our product”, ensured Martínez. “It’s an arduous job that at the end has it reward, when the cigar finally arrives to the mouths of the consumers”, he emphasized. “All of the tobacco investigations I have done conduct me to firmly conclude that it is an industry of passion. You come here because of passion. If you enter for money, you are destined to failure”, affirmed the owner of Joya de Nicaragua.